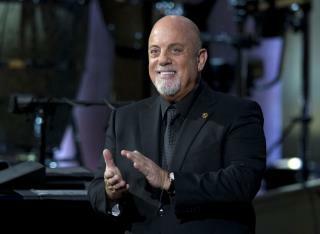 (Newser) – New York's governor will ride alongside music icon Billy Joel in a statewide motorcycle ride to raise awareness about breast cancer before signing legislation that expands access to screenings for the disease. Gov. Andrew Cuomo will begin his ride Monday morning at Sunken Meadow Park on Long Island, reports the AP. From there, the Democratic governor will ride alongside his girlfriend, Food Network star and breast cancer survivor Sandra Lee, and the Piano Man himself. The trio will join hundreds of motorcycle riders as they travel into New York City, stopping at the Jacob K. Javits Convention Center in Manhattan before heading upstate. The ride will end Monday evening in New Paltz. Cuomo is poised to sign legislation along the ride that would compel 210 hospitals to expand hours when mammograms are offered and require insurance companies to eliminate deductibles and copays for the screening and other diagnostic tests. Why is it most politicians ignore causes such as this until it hits someone they personally know that is affected? I never understood how riding some motorcycles down the highway became an example of nobility for some cause. You are riding a freaking motorcycle down the street. Big deal! You had to be a big shot, didn't you?